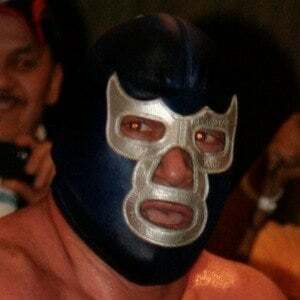 Masked luchador wrestler who was a three-time Empresa Medicana de Lucha Libre Mexican National Welterweight Champion. He wrestled his first match in 1942 and would adopt the Blue Demon ring name in 1948. He was inducted into the Wrestling Observer Newsletter Hall of Fame in 1996. He was raised in Rinconada, Nuevo Leon with 11 siblings. He was inducted into the Wrestling Observer Newsletter Hall of Fame with Ted DiBiase in 1996.